When you are looking for simple process instruments and you have a good idea of what you want, EMC has a website to help you select and order the right products and have them onsite within 48 hours. Offering the best pricing from EMC, including structured discounts for volume purchases, the E-direct website has all the technical information you need to specify and purchase simple, high quality Endress+Hauser process instruments, says EMC managing director Mark Armstrong. The E-direct site is hosted by Endress+Hauser but maintained by EMC to make it quicker and easier for customers to source simpler, entry level versions of the Endress+Hauser range at the best locally available price and without engaging the expertise of technical staff at EMC Industrial Group or faxing an order. 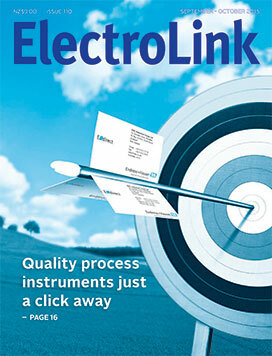 “We are more than happy to provide technical assistance with the purchase of products from our customisable ‘general’ range and highly specialised ‘premium’ range, but for the simple, entry-level instruments the E-direct site provides you with all the information you need and the best pricing we can provide,” says Armstrong. While politicians were manufacturing outrage in Parliament over the number of deaths in New Zealand workplaces during recent debates on the Health and Safety Reform Bill, the electrical industry has continued operating with its enviable but unacknowledged record of public safety. This record was so good that last year, according to Energy Safety, no electrical death occurred outside of a work place, which means electrical workers must be doing a great job of keeping children and the public safe from the ever-present danger of contact with electricity. But maintaining this 100 percent safety record is not only statistically unlikely, it will also be impossible because of the increased risks of exposure to electricity in the changing way it is used. A rapidly increasing number of devices and technologies surround us with lethal electricity to the point where the regulator of electrical work is now taking action to address electrical safety risks that, it says, are increasing faster than electrical workers are raising their competencies to deal effectively with them. The regulator of electrical work, Energy Safety, outlined these risks at a seminar hosted in August by Electrical Safety New Zealand (ESNZ), an Auckland-based organisation representing primarily inspectors and people with a strong interest in electrical safety. Optimising and maintaining variable speed drives is now an armchair operation following the release by ABB of two smartphone apps. Now you can dial up your ABB drives and save commissioning time, ease troubleshooting, improve drive performance, and manage drive configurations and preventive maintenance throughout the lifecycle of the drive. These new apps have been launched following the release of the ABB general purpose drive, the ACS580 and make it easy to unleash the power and performance of this new drive. 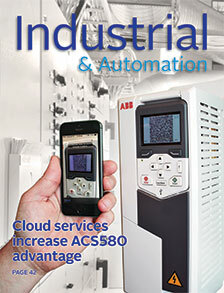 ABB’s drive business manager, John Keir, says the ACS580 offers significant operational savings and peace of mind in the advanced connectivity and proactive management now available for the first time. All major bus protocols are supported, remote monitoring options are standard and, using a panel bus adapter, you can run 32 drives from just one control panel. “But take out your smart phone and the game changes yet again,” says Keir. Power quality has long been considered the holy grail of energy distribution in industrial installations but the way we manage power quality issues in the electronics age is throwing up new challenges for electrical engineers, electricians and industrial consumers. What were givens in power quality engineering just a decade ago are now being questioned as the installed base of industrial machinery and equipment progressively changes from linear to non-linear loads. It used to be that ‘power quality’ as a concept was unheard of in AC systems engineering other than displacement power factor. Almost all AC loads were linear and did not distort the voltage sinewave or cause non-sinusoidal currents to flow in the circuit. This is no longer the case. Loads controlled by non-linear electronic components like the ubiquitous variable speed drive (VSD) and switch mode power supply now mean that the voltage and currents in the network feeding these loads are rich in harmonics. 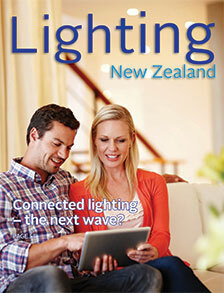 Connected lighting – the next wave? If there was any doubt that the lighting industry is falling into the maw of the electronics industry this has been confirmed at the latest round of global lighting trade fairs where all the talk is about ‘connected lighting’. What was once called ‘smart lighting’ and ‘intelligent lighting’ has morphed into ‘connected lighting’ where it would appear that the marriage between lighting and electronics is poised to become truly consummated. Connected lighting presents a brave new world for the lighting industry and could, at its sophisticated best, be a game changer with the potential to throw the lighting hierarchy as we now know it into disarray. After 50 years as the baseline metric for measuring a light source’s ability to render colour, the Colour Rendering Index (CRI) finally looks set to be erased from the designer’s vernacular with the publication of a broader metric developed by the Illuminating Engineering Society of North America (IES). Published last month, Technical Memorandum TM-30-15 (Method for Evaluating Light Source Colour Rendition) is a new colour metric intended to more fairly and accurately characterise both LED-based solid state lighting and legacy light sources. TM-30-15 relies on separate fidelity and gamut metrics and a set of 99 colour samples that are more representative of real-world objects when compared to the eight pastel samples primarily used for CRI.